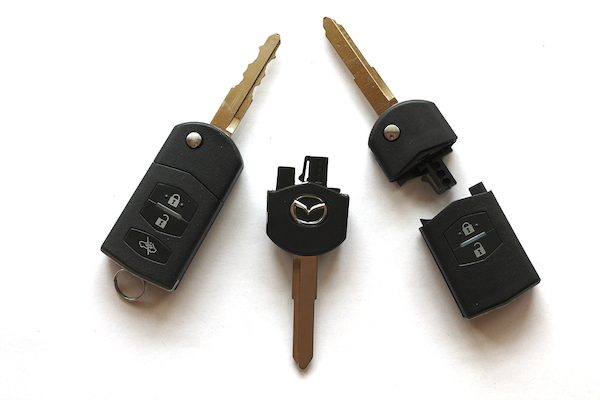 We also cut & program full integrated car keys, including flip keys with transponder chips, for major brands such as Mazda, Nissan, Toyota, Holden and many more. If you have a fully integrated transponder car key with remote buttons and that is your only key, we suggest getting a spare transponder key without buttons. We cut and program transponder keys in shop starting from only $130. If you lose your only integrated transponder car key with the remote buttons, you could be up for the best part of $1000, especially if it is a Toyota and they need to reset the computer (ECU) within the vehicle. It’s a worthy investment, and can potentially save you money and the inconvenience of not being able to access your vehicle. So, come see us at our convenient location at Tea Tree Plaza, the job could be as quick as 10-15 minutes, so drop it off before you do your shopping!